The US 2.4mr Class happy to be at the Charlotte Harbor Yacht Club once again. Getting the boats down from St. Pete regatta just a few days earlier made the usual hustle bustle that happens each year here just seem part of the norm. Boats arrive on Monday and by Tuesday things were ready for the start of the regatta. Charlotte Harbor day one saw a stiff breeze from the northeast. With the starting area set just west of marker three in the clearest air to be found for the race, competitors sailed a fast downwind leg to the start. 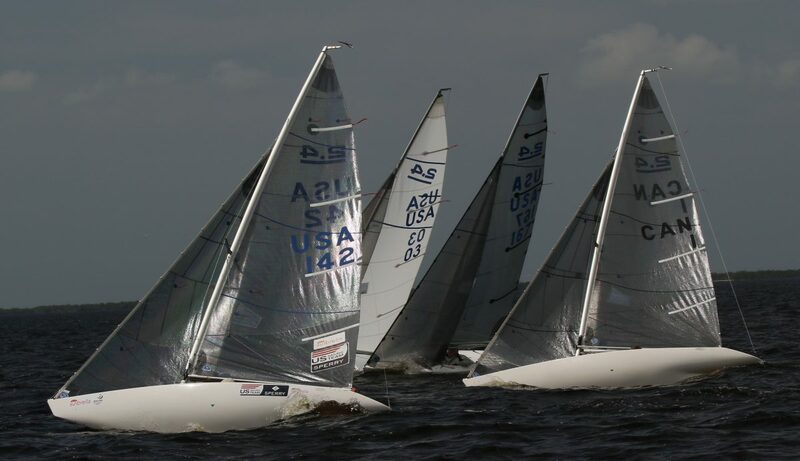 The wind was up and so were the seas which made for a challenging course to test the competitor’s willingness to receive some spray of Charlotte Harbor. Day two of regatta saw the wind drop off some to test the competitors skills in lighter breeze. Tony Pocklington, USA 3, showed how much his time spent in the boat this year paid off with accumulating 7 points to take first place in the regatta. Second was Charlie Rosenfield, USA 142, with 15 points. Peter Wood, Can 14, took the third spot. 4 Canadian, and 8 US boats competed in the regatta. Click here 2015 2.4mr Midwinter results to see the full results. There was fun to be had by all in the regatta. A big thank you again for crew put together to run the Mid-Winters for the 2.4mr Class. Fifteen competitors attended the 2015 North American Championship hosted by Nepean Sailing Club, Ottawa, Ontario, on July 24-26. This annual event is held in either Canada or the United States with the two countries switching off every other year. Fifteen competitors attended the 2015 North American Championship hosted by Nepean Sailing Club, Ottawa, Ontario, on July 24-26. This annual event is held in either Canada or the United States with the two countries switching off every other year. The fleet was made up of eleven Canadian and four US racers with the Canadians filling the top four finishing positions. Seven races were completed with five on Saturday and two races Sunday. 2015 is the third year in recent history 2.4mRs have raced in the Newport Regatta hosted by Sail Newport. Once again we got off a lot of short races where a good start and boat on boat tactics were the order of the day. 2015 is the third year in recent history 2.4mRs have raced in the Newport Regatta hosted by Sail Newport. Newport’s typically reliable winds were fighting a Northerly early on Saturday and kept us waiting on the water after the first race. After an hour or so Newport’s fans starting turning and we were able to complete eleven races in two days. Dee Smith once again led the way winning ten of eleven races. The 13th Annual Clagett Regatta is in the books! Dee Smith continues to dominate US events during his campaign to the 2016 Paralympics in Rio. Eleven races and eleven bullets in three days of racing during the 13th Annual Clagett Regatta. Dee Smith continues to dominate US events during his campaign to the 2016 Paralympics in Rio. Dee Smith continues to dominate US events during his campaign to the 2016 Paralympics in Rio. 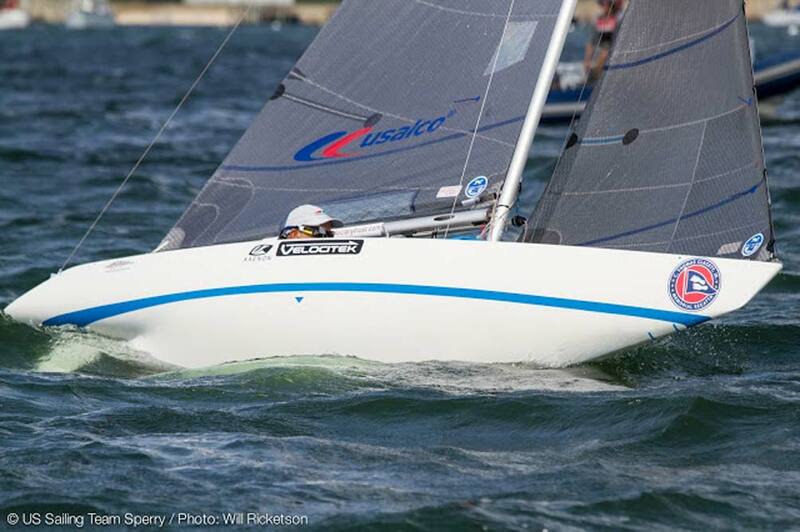 Eleven races and eleven bullets in three days of racing during the 13th Annual Clagett Regatta. Dee’s enjoying a new challenge and applying knowledge gained during his continuing career as a professional big boat sailor to racing the 2.4mR. To paraphrase Bill Shore once again coaching 2.4mRs at this year’s Clagett, “Dee doesn’t make any mistakes. We’ll be watching from the coach boat and saying ‘he should tack’, and Dee tacks”. 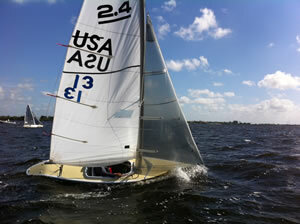 We had a successful event March 12-14 out of the Charlotte Harbor Yacht Club in Charlotte Harbor. The weather was beautiful (even by Florida standards, and the people who spent last six weeks freezing up north have a much lower bar) and the fifteen participants enjoyed it. Bill Shore organized and coached on the 12th and 13th starting with a morning “chalk talk” then some on the water drills for speed and boat handling and practice racing each day. Mark Bryant and Randy Shore also helped on the water. 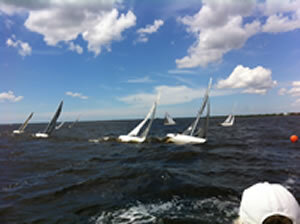 On Saturday the 14th everyone participated in the Leukemia Cup regatta held for 2.4mR’s just off the CHYC. After five short races newcomer Dee Smith won handily, showing that when you have top keelboat skills they transfer well to the 2.4.mR, followed by Charlie Rosenfield and Danny Evans. Tony Pocklington had a strong start in the first three races but then had a breakdown. Thanks to the Charlotte Harbor YC, Tony Pocklington, Dennis Peck, US Sailing, and all the others who made this great event happen.